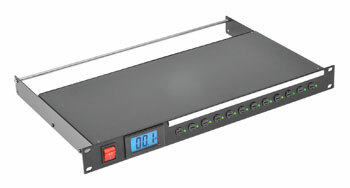 This range of twelve-way, IEC outlet, AC mains power distribution panels with a 10 amp IEC inlet and IEC 'loop-out' outlet, is housed in a compact 1U rackmount case. 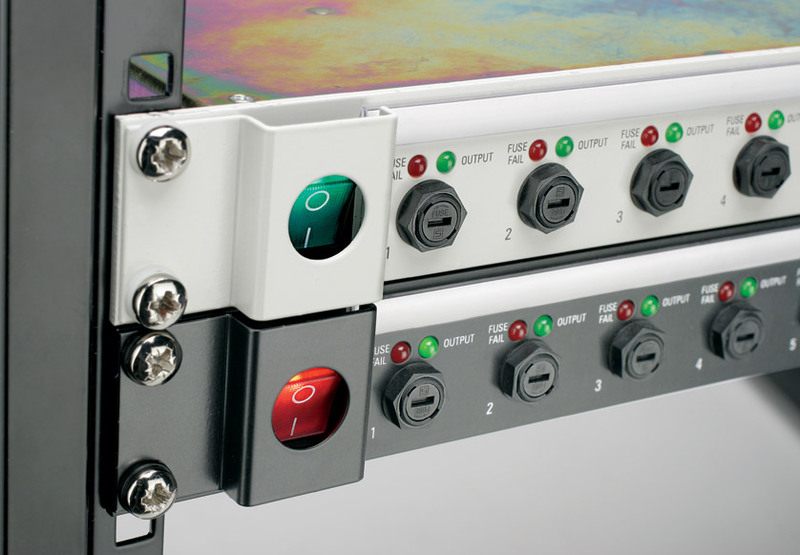 The loop-out feature provides an un-switched, direct loop-through power outlet to supply equipment that must remain powered when the MDU is switched off, or to supply to a second MDU. All versions have on the front panel a current meter plus fuse and bi-colour LED indication of power status for each of the output channels. Switch option models have an illuminated power rocker switch. Inlet and outlets are on the rear panel. NOTE: Current drawn from the ‘loop-output’ must be included in the total current calculation. Care must be taken not to exceed the maximum total load of the MDU. The fuses on the front panel have adjacent bi-colour LEDs. Green illuminated indicates that the circuit is powered correctly. Red illuminated indicates that the fuse has failed. The front panel has an illuminated switch or is un-switched, independent outlet fuses with status indicators. 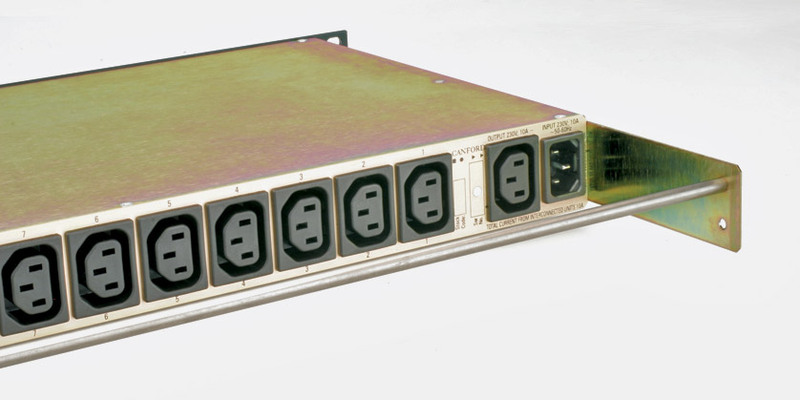 The rear panel has a 10 amp IEC inlet , 10 amp IEC 'loop-out' outlet and twelve 10 amp IEC outlets. An earth stud is fitted. 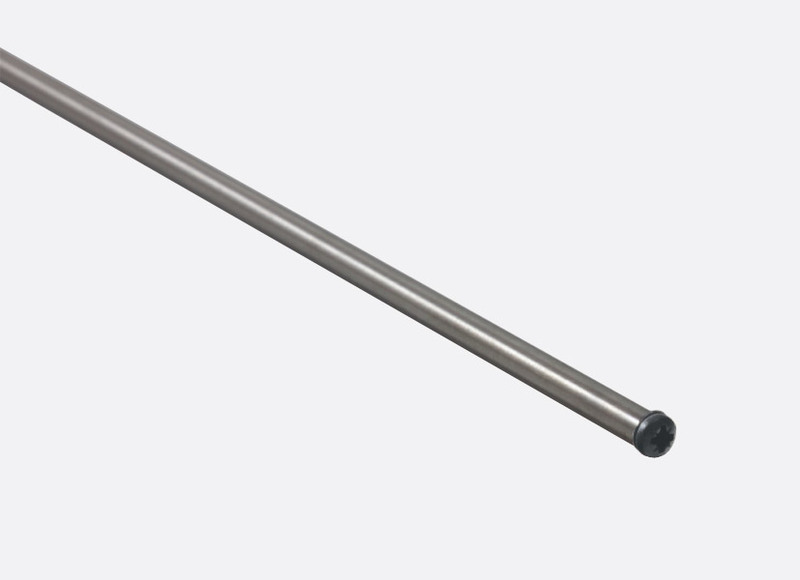 Loop-out connectors: Bulgin, stock code 42-153 or Schurter, stock code 42-054.